Authorities are desperate to find a 13-year-old girl who they said was taken from her Wisconsin home where her parents were found dead. "I haven't seen anything like this in rural western Wisconsin. We just don't see this," Barron County Sheriff Chris Fitzgerald said at a news conference Tuesday. "We want to bring Jayme home." "Every second counts in this case," the sheriff said. 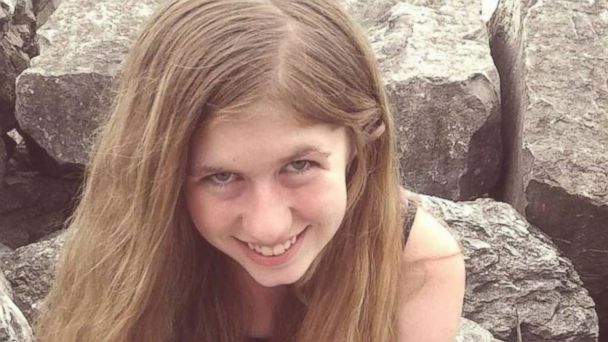 Jayme Closs, 13, was taken from her home early Monday morning by an unknown person who likely had a gun, according to the FBI office in Milwaukee. Authorities issued an Amber Alert for the girl after the bodies of her parents, James Closs, 56, and Denise Closs, 46, were found around 1 a.m. Monday at their home in Barron. Police had responded to a 911 call made from a cell phone at the home, but no one communicated to dispatch during the unusual call, the sheriff said. Fitzgerald did not say how the couple died. Autopsies will be conducted Wednesday, he said. Jayme, who is now considered "missing and endangered," is a sweet and shy girl who enjoys dancing and sports, the sheriff said Tuesday. "We want to see Jayme safe and back in our hands," Barron Area School District administrator Diane Tremblay said at a news conference Tuesday. Investigators are "in this for the long haul" but are hoping "for a rapid conclusion," added Brian O'Keefe of the Wisconsin Department of Justice. Authorities have received over 200 tips as of Tuesday afternoon, the sheriff said. Police in Miami were even investigating a possible sighting of Jayme at a gas station there, but Fitzgerald said Tuesday afternoon, "we have no credible information about the Miami incident." As the search continues, Fitzgerald on Tuesday urged the public to take notice if someone they know engages in suspicious behavior, like altering their routines or changing their appearance. "When a child like Jayme is missing we ask you to observe this behavior and report it to us," he said. Anyone with information can call the Barron County Sheriff's Department.